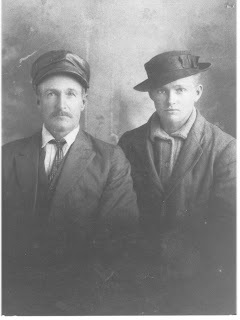 I recently read this post by David Decker on his Family Tracing History blog. This post has inspired me to post spotlights on different family members of mine in hopes of making "cousin connections" and gathering additional details from my family on these individuals. 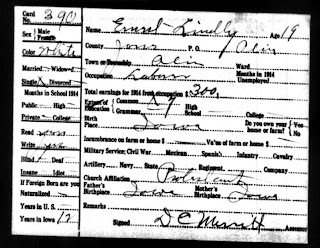 In 1900, 2 year old Ernie was living with his parents Ulysses and Amelia Lindly in Rome, Jones Co., Iowa. Ernie had an 8 month-old younger sister named Mary. 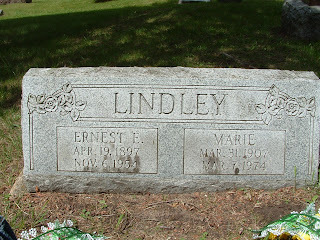 Earnest Lindley was located with his family in the 1905 Iowa State Census and his Post Office was listed as Morley. Two additional children, Frank and James, have joined Earnest and Mary. 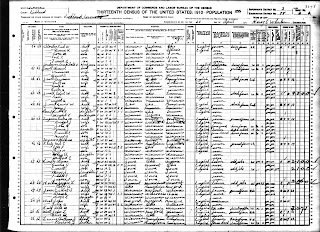 Between the 1905 Iowa State Census and the 1910 US Census, Ernest's parents moved the family from Iowa to Richland Co., Wisconsin. Twelve-year-old Ernest and his father Ulysses are both listed as working "odd jobs". 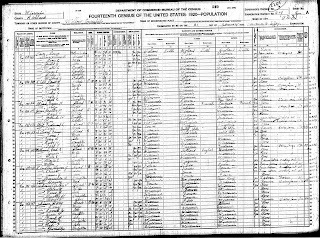 The 1915 Iowa State Census Earnest is living back in Olin, Iowa. His could read and write, was a protestant, and was making $300 a year as a common laborer. 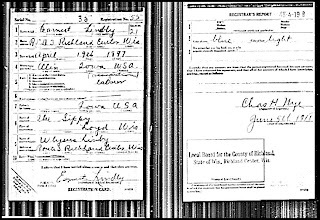 Ernest Lindley was 22 years-old by the 1920 US Census. He was living with his father (what happened to his mother, Amelia, is one of my biggest brickwalls), 2 younger siblings and a hired hand in Willow, Richland Co., Wisconsin. 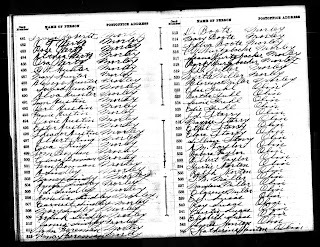 Ernest, his father and younger brother James were all listed as being farm laborers who were "working out" on other farms. There are very few photos of Ernie and his family. I have been told the above photo is a picture of Ulysses Grant Lindley and his son Ernest Elmira Lindley. Date unknown. Ernest married Esther Marie Tyler on 20 Nov 1924 in Richland Center, Richland Co., Wisconsin. 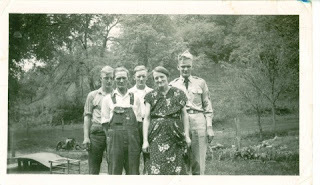 Ernest and Marie (as she was called by family) are pictured here with their three sons: James, Allen, and Jesse. The exact date of this photo is unknown, but judging by Jessie's uniform it was right before he left to fight in the Korean War or shortly after his return. 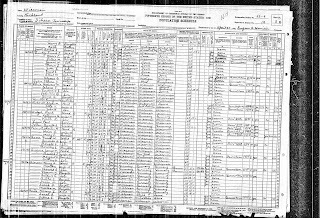 By the 1930 US Census, Ernest and Marie were living in Ithaca Township, Ricland Co., Wisconsin and had two daughters and two sons. Also living with them were Ernest's father Ulysesses, Ernest's brother James and his wife Ethel, and Marie's sister Eldora. All the adult men were listed with the occupation of laborers in the "general farm" industry. Ernest died of a heart-attack on 6 Nov 1954 while reading a book to a couple of his granddaughters. His wife, Marie, had to run to the next farm to use their phone to call for a doctor. His funeral services were held at St. John's Lutheran Church on Novemeber 10th and he was laid to rest at the Boscobel Cemetery. He shares a stone with his wife Marie who died on 7 Mar 1974. On the memorial card from Ernest's funeral it lists his middle initial as "C". My grandmother, his daughter, says that it was a misprint and that his middle name was Elmira and people used to make fun of him for it. His headstone, previously pictured, has the correct initial. He only made it to the 8th grade in school. He would sit in a semi-circle with his father and uncles and listen to boxing matches on the radio. He once ran a saw mill with his father Ulysses. She remembered she could hear him blow the whistle every day at noon while she was at school. He would roll his own cigarettes. She would stop and a buy his paper and tobacco on her way home from school. He always kept them in a tin can. He hated to drive. He would make excuses, like having to check the fence at the back of the pasture, when they needed to drive somewhere. He always wore overalls and blue chambray work shirts. He broke horses for work teams. 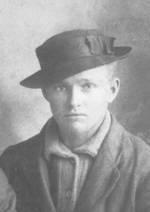 He once worked for the WPA in the winter and earned $1 a day for himself, his team of horses and a wagon. This is all I have on Ernest Lindley. I have not had luck finding any vital records online and will try to locate and send out for them when I can. If anyone in my family has memories to add or details to add, please leave a comment or email me! I would like to add an ancestral spotlight on more of our relatives as time allows. Great work Sara...and the documentation is awesome. Easy to read too, I enjoyed! I enjoyed reading about your great grandfather. Wonderful tribute and information. Keep up the good work. Sara, this spotlight on your great grandfather was very interesting. Good luck in your search for Amelia! Love it! 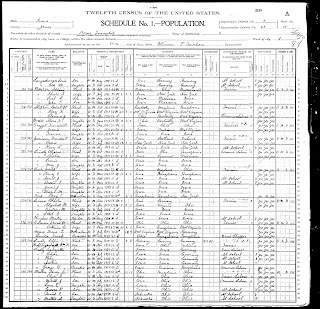 I like how you can click each image to enlarge it, especially the census records. Hopefully entries like these will draw cousins like crazy! This is a good tribute to your reasearch and your great grandfather.